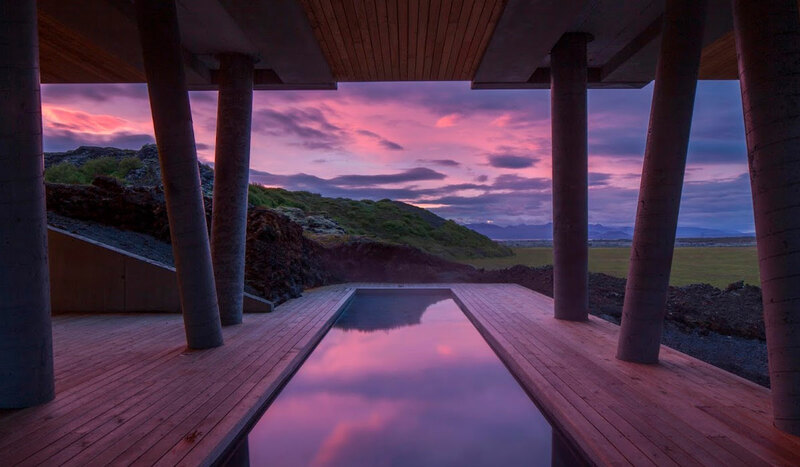 Set against the stunning backdrop of mountainous lava fields about an hour’s drive east of Reykjavik, the ION Hotel is designed to inspire, revitalize and allow guests to escape the ordinary. Ion seamlessly blends the rugged exterior of Iceland’s wilderness with contemporary architecture, amenities and self-sustainability; thanks to its floor-to-ceiling windows, it is an ideal place for taking in the Northern Lights. 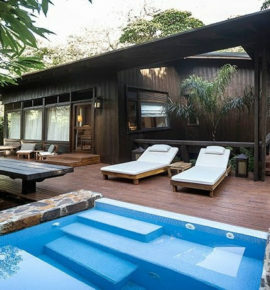 An exclusive boutique hotel of only 45 rooms, the ION provides an intimate experience and has won awards for both Best Honeymoon Boutique Hotel in Europe and The Most Sustainable Boutique Hotel in Europe (2014). The hotel generates hot water and energy from the surrounding hot springs and local Icelandic produce is used throughout (where importation is necessary, all items are Fair Trade). Driftwood and other natural as well as recycled materials, including tires, are used to create furnishings; the rooms are stocked with Sóley Organic amenities, made from local Icelandic herbs.